Chris, his partner and their 3 children were at the dawn planting of the first tree in 1991. He has maintained his involvement in the project ever since. 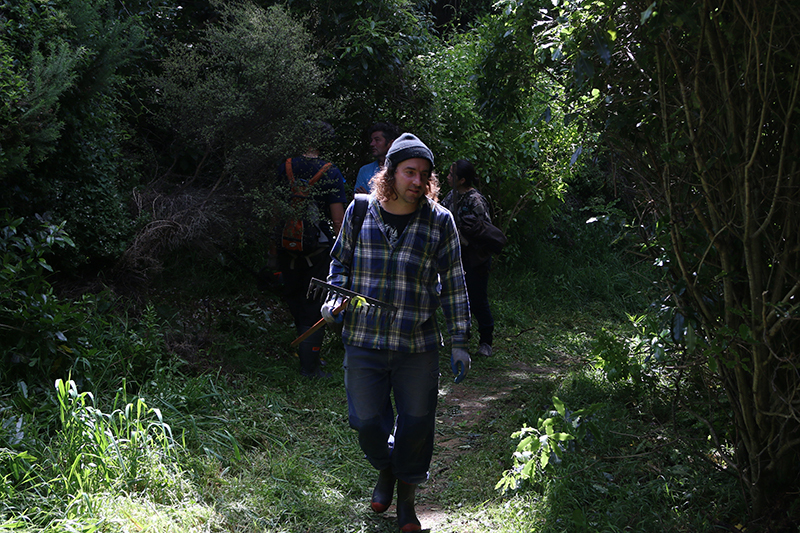 With over 17 years experience volunteering with Manawa Karioi, Ross has a detailed knowledge of the project. A tree enthusiast and an ex-resident of Island Bay. Vanessa brings her digital skills to the Committee at Manawa Karioi. A council gardener by day and a neighbour to the reserve, Tom brings a lot of botanical knowledge to the site and is a regular at the working bees. Paul Blaschke is an environmental consultant and part-time university lecturer. He loves living and working in Wellington’s southern suburbs, whether in the Owhiro catchment, the Town Belt near his home, or on the slopes at Manawa Karioi. Tim is a regular volunteer at our working bees and a committed member of the committee. Committee: Vanessa Patea, Ross Gardiner, Paul Blaschke, Tom Box, Tim Owens, Jerry van Lier, Kevin and Mary Thomas, Grace Carr. We would like to acknowledge the following people who have been involved with Manawa Karioi over the decades: Sister Loyola, Kevin Kilkelly and Peter Sylvester, Bill Pettersson, Bill van Gorkom, Jill Burdett, Joy & David Dean, Roger & Jenny Mountfort, Cathy Leniston, Dean Baigent-Mercer, Gary James, Jim Lynch, Liz Tennent, Maggie Wassilief, Marion Sanson, Morgan Cox, Richard Cussins and Sally Bowman. We are really happy with the progress the Manawa Karioi Ecological Restoration Project has made but we would love some more members to see us into the future! We would like to invite you to become a member of the Manawa Karioi Society! The membership subscription is $20.00 if you would like to support our project, you can deposit this amount into our bank account. Please inform Treasurer, Papri Paul of your payment. Email Papri here.